476000 mm4 724000 mm4 1080000 mm4. 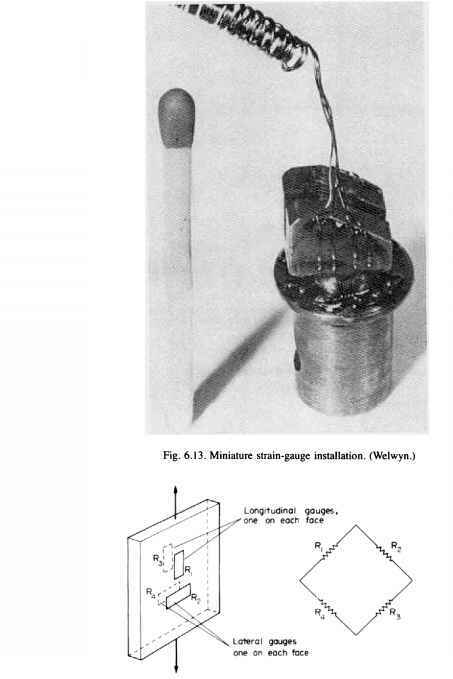 (b) Having selected an appropriate mild steel tube, determine how much the entire mechanism will twist during operation at a constant torque of 3 kNm. 5.19 (B). Figure 5.21 shows the cross-section of a thin-walled fabricated service conduit used for the protection of long runs of electrical wiring in a production plant. The lower plate AB may be removed for inspection and re-cabling purposes. Owing to the method by which the conduit is supported and the weight of pipes/wires that it carries, the section is subjected to a torque of 130 Nm. With plate AB assumed in position, determine the maximum shear stress set up in the walls of the conduit. What will be the angle of twist per unit length? By consideration of maximum stress levels and angles of twist, establish whether the section design is appropriate for the removal of plate AB for maintenance purposes assuming that the same torque remains applied. If modifications are deemed to be necessary suggest suitable measures. 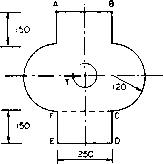 For the conduit material G = 80 GN/m2 and maximum allowable shear stress = 180 MN/m2. Fig. 5.22. All dimensions (mm) may be taken as median dimensions. to the section. Owing to the method of support, the weight of the fluid and duct introduces a torque to the section which may be assumed uniform. 5.21 (C). Figure 5.8 shows a polymer extrusion of wall thickness 4 mm. The section is to be stiffened by the insertion of an aluminium I section as shown, the centre web of the polymer extrusion having been removed. The I section wall thickness is also 4 mm.